The name Equinor is formed by combining ‘Equi’, from the beginning of "words like equal, equality and equilibrium", and ‘nor’ to denote the state oil company’s Norwegian heritage, the company explained. The change was approved at the company's annual general meeting (AGM) on 15 May. Announcing the proposed name change in March, the company reaffirmed its intention to grow its business "internationally, within both oil and gas, and renewable energy". Last year, Statoil had announced it expects to invest between 15 and 20% of annual capital expenditure (Capex) in "new energy solutions" by 2030. In March, Statoil’s president and CEO, Eldar Sætr, said: "Equinor is a powerful expression of who we are, were we come from and what we aspire to be. "We are a values-based company, and equality describes how we want to approach people and the societies where we operate. "The Norwegian continental shelf will remain in the backbone of our company, and we will use our Norwegian heritage in our positioning as we continue growing internationally within both oil and gas, and renewable energy." 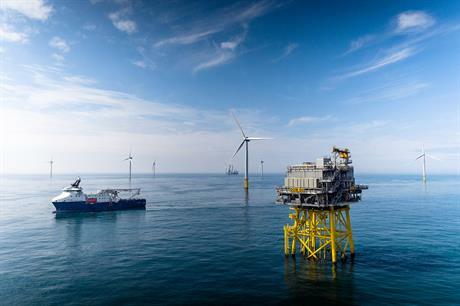 Statoil's name change comes seven months after Dong Energy rebranded as Ørsted, also to reflect its shift towards renewable energy.